Phillips produced a range of such machines. The variations available included ladys or gents frames, and drum or rim brakes on the front wheel. The first illustration is of the gents rim braked version; note the dropped top tube on the frame, allowing a lower saddle position. The effect of the braces on the front fork must have been minimal, but at least they make it look stronger. The mudguards are bigger and stronger that on a normal pedal cycle; although extra mud protection made a good selling point, the most likely reason for them was that normal mudguards would not be reliable in supporting the weight of the number plates. 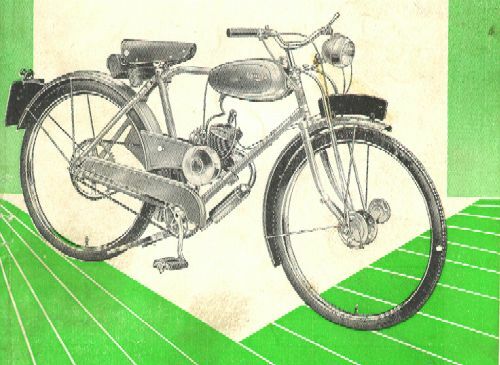 The second illustration is of the Phillips Motorised Bicycle. Phillips sold this as a complete machine but the cycle parts are the same as used on the separately sold cycle. This picture shows the chain cover, which is missing from the bike in the first illustration, and the handlebar and front wheel variations of the hub-braked model. The final two pictures are of a ladys machine. Taken from 20-year old colour slides, the pictures are not of the finest quality but they are of particular interest because they show the rear carrier. The carrier is offset to the left so that the carrier stay keeps clear of the Cyclemasters fuel tank. This was a cunning re-use of tooling by Phillips. The offset carrier was originally produce for military cycles; the offset made room for slinging a rifle alongside the bike frame. 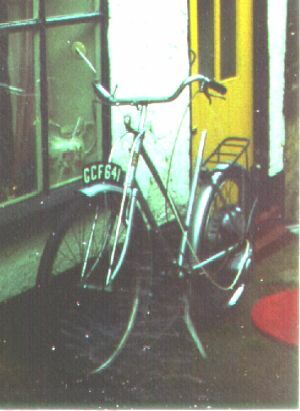 The rear view of the ladys machine shows the lithographed badge that Phillips fitted to the rear mudguard. 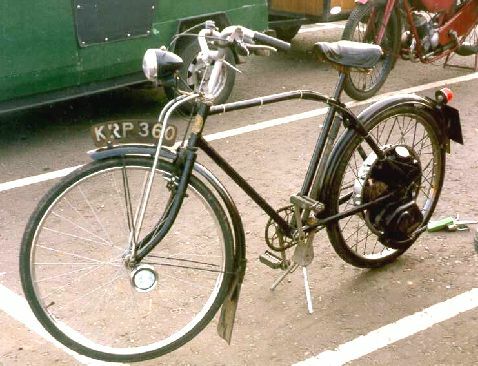 In addition to the Motorised Bicycle, another complete machine utilised the Phillips cyclemotor frame. 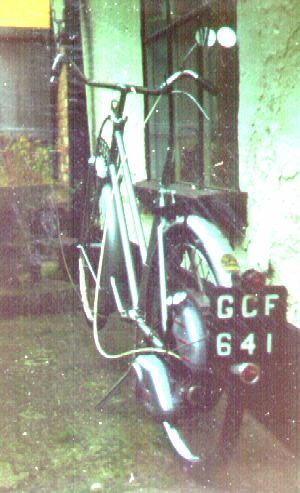 This was the Vincent Power Cycle: a Phillips cycle sold with a factory-fitted Vincent Firefly engine unit.